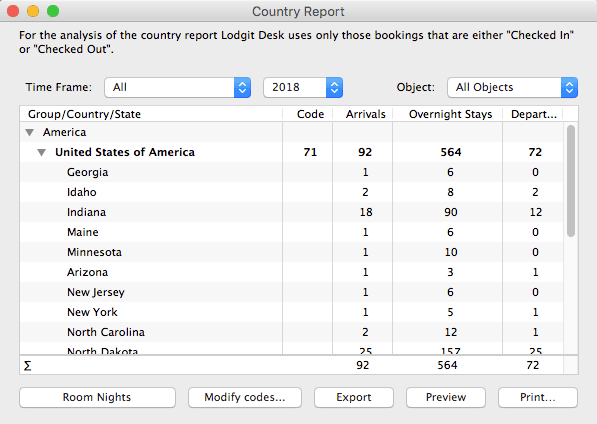 Lodgit Desk carries out a monthly analysis of the number of stays, sorted by the country of origin of your guests. This greatly alleviates the owner's task of providing the monthly country reports required by some public authorities as this report uses the official country codes and also lists the number of arrivals and departures. The analysis can be carried out for all buildings together or only for the units within a specified building. Furthermore, Lodgit Desk creates a daily up-to-date cleaning schedule for your hotel. This housekeeping list can be printed and passed on to your cleaning staff. The only units appearing on this list are those marked with the status “to be cleaned”. The cleaning status can be automatically changed at specified regular intervals which can be set individually for each and every room, apartment or holiday apartment within the object management. The list of extras gives you a detailed analysis of all additional services over a specified period of time, which can easily be printed. For instance, you can hand a catering list over to your kitchen crew, where you’ll find all breakfasts and dinners ordered on one specific day or time period, or you gain a quick overview of the visitor’s tax received over the past month. 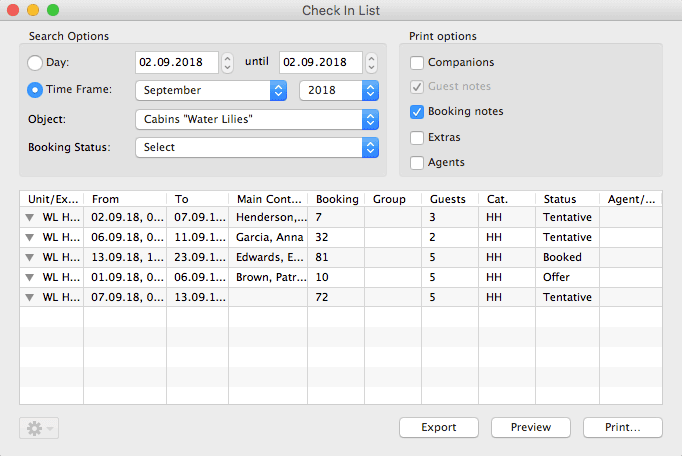 In Lodgit Desk, you can use the check-in and check-out lists to get a detailed analysis of all arriving and departing guests for a specified period of time. 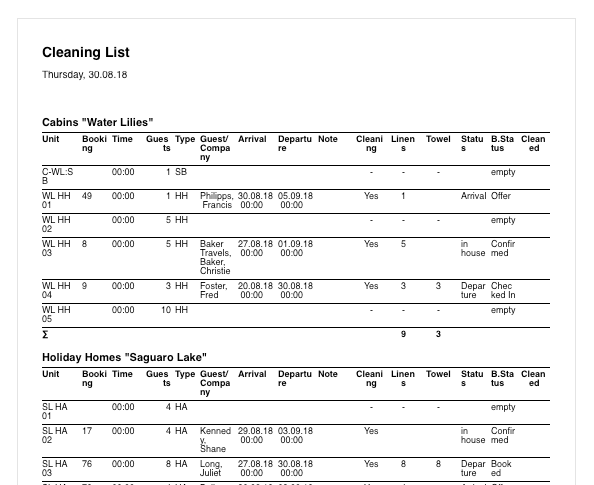 When printing the list, you can choose to display guest notes, booking notes as well as additional services booked. 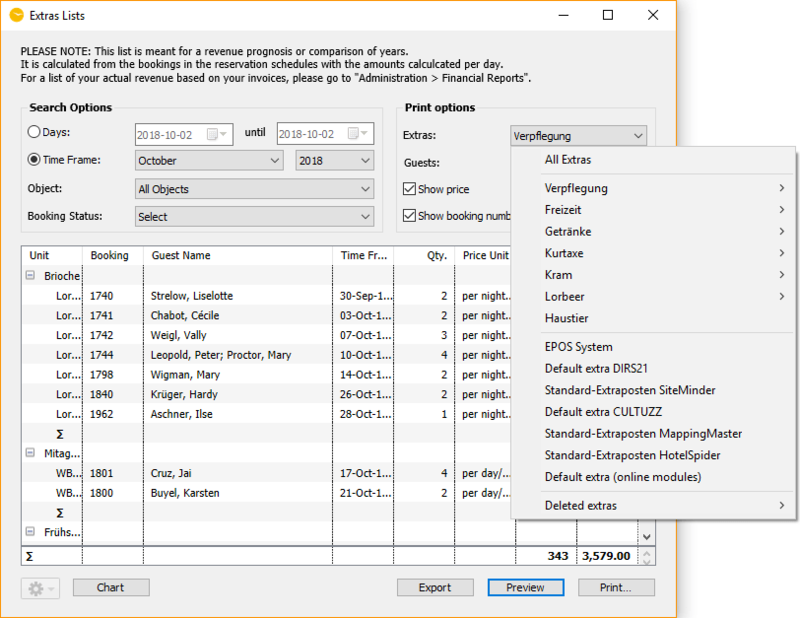 With the help of the lodging list, you can analyze the expected and to-date turnover of your lodging services for the time period you specify, as well as print out a list of the related bookings. For this analysis, it is of lesser importance whether an invoice has been issued or not. All lodging services per day are taken into account, but you may still limit the selection to certain booking statuses. 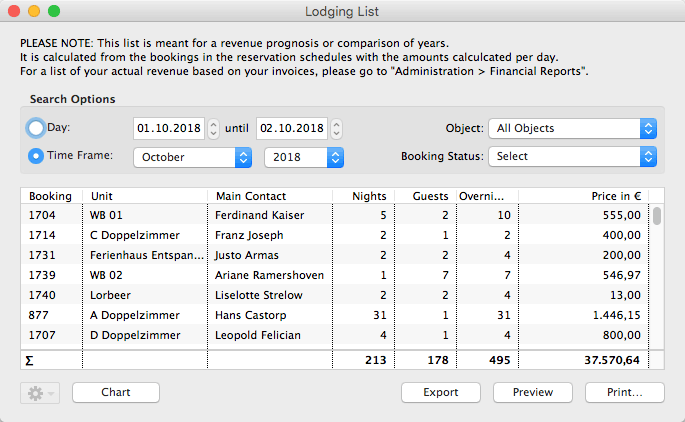 Lodgit Desk offers not only the quickview of all currently checked in guests in the lower left area of the main window, it also offers a more extensive list of all guests. This list can be generated for a certain time frame or object or selected booking statuses. 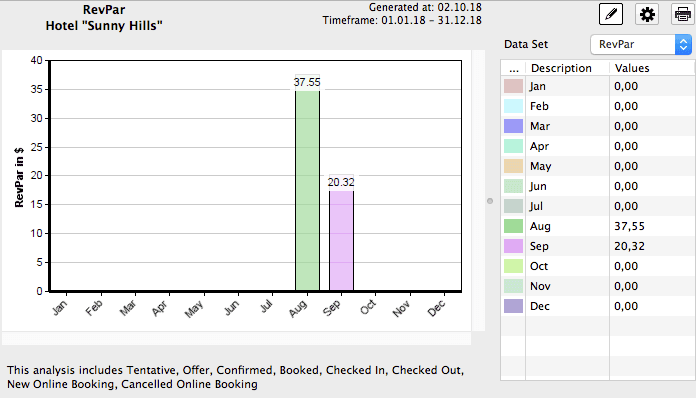 The agent statistic offers you an analysis of booking turnover for any specified period of time during which agents have generated customers for your establishments and receive commission from you. This analysis may of course also be printed out at your discretion. 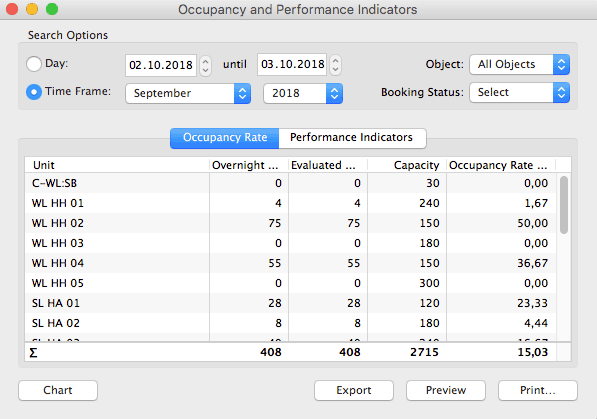 Lodgit Desk lets you analyze a couple of performance indicators, such as occupancy rate and RevPar (revenue per available room). The RevPar depends on the occupancy rate and the room revenue and can be calculated for any time frame.